There are very few secrets in the world of sales operations. Most organizations are playing by the same rules, using the same tools and tactics. One area that has not yet seen widespread adoption – but will see huge growth in the next five years – is Sales Engagement. This secret weapon could help you produce a pipeline full of prospects who are delighted in your sales process and develop a team of sales ninjas who exceed their quotas. While the concept of “sales engagement” is not a new one, the definition of a Sales Engagement Platform (SEP) has evolved. Once limited in functionality as a tool to automate call dialing and lead nurturing, SEP has grown to become a valuable sales technology that not only automates the sales process but delivers key analytics and insights on buyer behavior, enabling sales teams to build deeper relationships with buyers based on their needs at different points in their buying journey. Top performing sales reps use data and productivity tools 30% more than average performers. (Salesloft) A Sales Engagement Platform brings all of the core sales software together, integrating the CRM with tools that gather intelligence and inform the sales rep at various points in the sales funnel. When these tools are brought together into a unified platform, sales reps engage prospects quickly and efficiently, deliver content that helps drive the relationship further and have access to data and buyer insights that inform further communications, leading to greater success in closing sales. There are significant benefits to connecting all parts of the sales funnel. A focus on buyers and their needs, and serving them better throughout the buyer’s journey, leads to higher close rates and smoother onboarding. Take a look at the current Sales Engagement Landscape to see where some of the leading SEPs are providing value. Where a standard SEP helps organizations track sales touchpoints at the top of the funnel (prospecting, qualification, and justification), a unified, end-to-end SEP carries the data, content, and prospect relationship forward to the middle and bottom of the funnel, through quoting and negotiating, to closing and onboarding. It’s estimated that only 30% of a sales rep’s time is spent talking to prospects. An SEP reduces time spent on admin tasks like data entry, writing emails, searching for the right content to share, and scheduling calls. A unified SEP goes beyond logging and tracking interactions with prospects; it also reduces time spent configuring quotes, drafting proposals, and chasing down signatures. Having all parts of the sales funnel connected in one platform, integrated with a CRM, increases sales team efficiency, productivity and effectiveness, and reduces the sales cycle. Selling faster means more time to sell. A more effective sales process and reduced sales cycle naturally translate to higher revenue. An SEP helps you hone in on buyers’ needs and gain insights into what they respond to best, resulting in a laser focus for your sales team and better results. Streamlining and consolidating your sales stack, whittling it down to only the software needed to produce optimal results reduces tech spend. Other cost advantages of a slim sales stack include less time spent managing multiple platforms and vendors, eliminated time spent maintaining data in multiple locations, and reduced training time. In their 2017 report on SaaS AE Metrics, Bridge Group found that the average ramp time for account executives is 4.5 months and full productivity averages 25 months. Part of the issue is that new sales reps that don’t use a sales engagement platform aren’t using a sales playbook to guide their selling and have difficulty locating the sales content they need at the precise moment need it. Automating parts of the sales process helps new hires learn quickly. Research by Velocify found that “high-performing sales organizations were almost twice as likely as underperforming organizations to describe their sales processes as ‘closely monitored’ or ‘strictly enforced or automated.’” An SEP places guardrails around the sales process, so reps optimize their time and can focus on serving their potential customers. An SEP makes the buying experience seamless. When everyone on the sales team, from the SDRs to the in-house or field sales reps, is working from the same platform, the buyer gets the sense that their needs are at the forefront. The intelligence gathered at the beginning of the relationship is carried forward, without annoying the buyer by asking for the same information at multiple points along their journey. Each step informs the next and creates an experience for the buyer that makes them feel like their rep is paying attention to them, not simply logging data in a CRM. An all-in-one SEP exists in an environment where every piece of content and every buyer interaction is on-brand and produced from an up-to-date sales playbook. Buyers notice and appreciate the professionalism. In Richardson’s 2018 Selling Challenges Study, 22% of respondents cited “understanding the buyer’s decision-making process” as a top challenge for sales teams. A unified SEP not only provides data and insights on buyer engagement (the what and when of how they respond to content) but provides the framework and tools to effectively nurture the relationship based on buyers’ needs and level of interest. Buyers are empowered to make informed decisions because the sales team is prepared to engage with buyers in ways that are most meaningful to them. Content such as case studies, interactive videos, ROI calculators, and testimonials help tell the story that resonates best with buyers. Digital engagement insights and real-time buyer behavior data help sales teams learn, personalize, and optimize the sales process for each buyer. Cookie cutter sales decks are a thing of the past and are replaced by personalized content that connects with buyers, supported by data. Ready to be a Sales Engagement Ninja? If you’re looking for your sales secret weapon, we challenge you to consider a Sales Engagement Platform. Most companies don’t yet understand the role an SEP can play in improving their sales operations and increasing revenue. Implementing a unified, all-in-one Sales Engagement Platform will give you the competitive edge you are seeking. 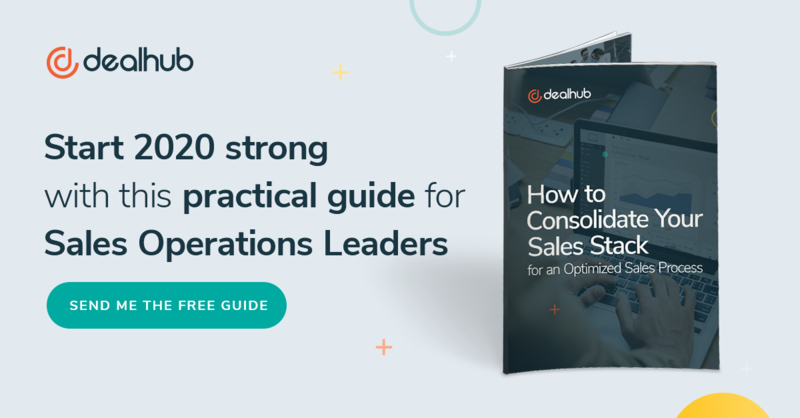 DealHub’s unified platform is the only SEP that connects all parts of the buyer’s journey to help your sales team achieve optimal results. Having a solid platform on which sales, marketing, and customer success teams manage the customer engagement process from end to end can yield substantial dividends. Our Sales Engagement Platform is easy to implement, integrates seamlessly with Salesforce and Microsoft Dynamics CRM, and is built for growth to easily scale with your business. Schedule a demo today to learn how DealHub.io can put the power of sales engagement to work for your business.